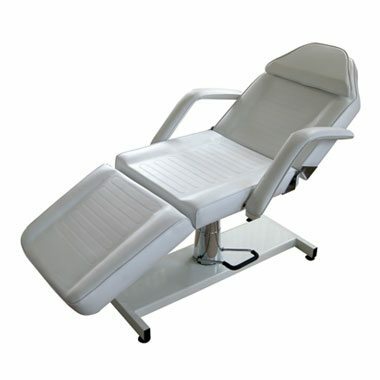 Three section hydraulic treatment bed, multi-position, can easily be positioned as a chair. 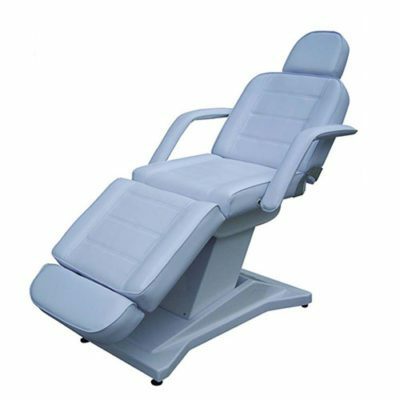 Hydraulic height adjustable base, swivel action. 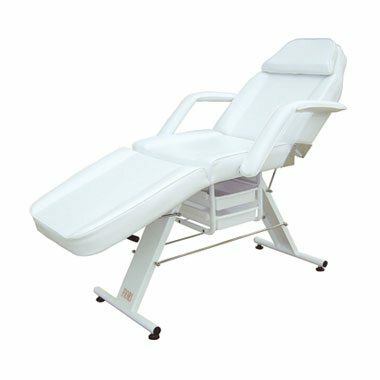 High end extra thick foam, PU-leather upholstery. 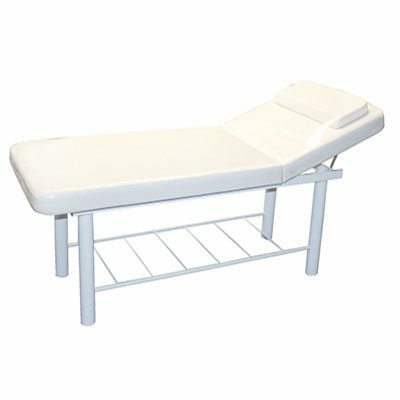 * Adjustable backrest and leg rest. * Facial hole beneath pillow. * Easy removable arm rest. * Measurements: 1860mm Length – 620mm Width. * Height adjustable from 600mm to 750mm.